Picture this… it is 65 million years ago and a meteor is heading towards the Earth. However, rather than crashing into our planet, it skips on by leaving the world’s dinosaur population none the wiser. Fast forward, oh a couple a million years, and dinosaurs have evolved. They have developed the power of speech and some have become pretty handy farmers. Take one Apatosaurus family, for an example. They have to toil the land in order to survive. Poppa (Jeffrey Wright) and Momma (Frances McDormand) encourage their three children - Libby, Buck and Arlo - to work hard and make their mark on the world. However, little Arlo is struggling. He is small and scared. And when tragedy strikes, Arlo is put to the ultimate test. Lost and alone he makes an unlikely human friend. They have to learn to trust each other and work together if they have a chance of making it back home. Will Arlo be brave enough to survive a brutal world? Will he be able to make his mark? It is a rare treat to get two new Pixar movies in one year. 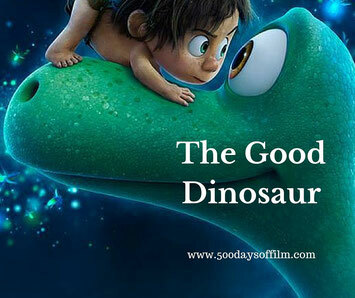 The Good Dinosaur was originally scheduled for release in summer 2014. However, when original director, Bob Peterson, left the project, the film’s new director, Peter Sohn, felt the movie needed more time before it was ready for release. This has meant, of course, that The Good Dinosaur has had to follow Pixar’s Inside Out. Not an easy task. However, these two films are so completely different - both in their visual style, their storytelling and their ambition - that I just didn't feel like making comparisons. I had a great time watching this movie. It has lots of magical moments, is full of thrilling action (plenty to keep even the most fidgety kids entertained) and I was gripped by the story. I also laughed a lot and, yes, there was a moment at the end when I came over all a bit emotional. The Good Dinosaur is utterly gorgeous to look at. It combines cartoon-like animation with jaw dropping photorealistic CGI effects. I couldn't believe that the film's location shots weren't real world footage. This movie truly is stunning. However, unlike many Pixar films, The Good Dinosaur does not feel particularly inventive or original in its storytelling. The meteor miss is all too quickly dealt with before we move on to a plot that is very similar to other Disney movies such as Dumbo and The Lion King. Now, I am all for fun cinema references (which this movie does have - see if you can spot the Jaws reference!) but, for me, a Pixar film also needs to bring something new to the table. Meanwhile, The Good Dinosaur has been rated PG by the BBFC because of “frequent scenes of threat” and “mild violence”. Arlo and his human friend often suffer situations involving mild peril in this film - situations that could well frighten small children. Indeed, I saw many small kiddies sneak onto their parents’ laps. Just something to be aware of. The Good Dinosaur is far from being the best Pixar offering of recent years. Despite this, I thoroughly enjoyed myself and would recommend this film. After all, Pixar’s bar is set many levels above most other animated family fare. I really enjoyed Pixar's short film at the start of The Good Dinosaur. 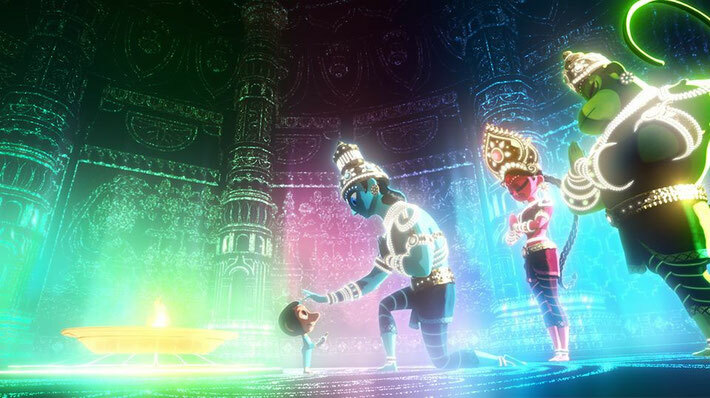 Sanjay’s Super Team (see picture above) tells the story of a young superhero-obsessed boy. His imagination allows him to understand his religion and bond with his father. It was fun and really quite charming. Have you watched The Good Dinosaur? If so, what did you think of this film? Do let me know by leaving a comment in the box below!